Need a trusted Malaga window cleaner. Look no further! Make your windows shine with our professional window cleaners. Call 1300 72 87 72. 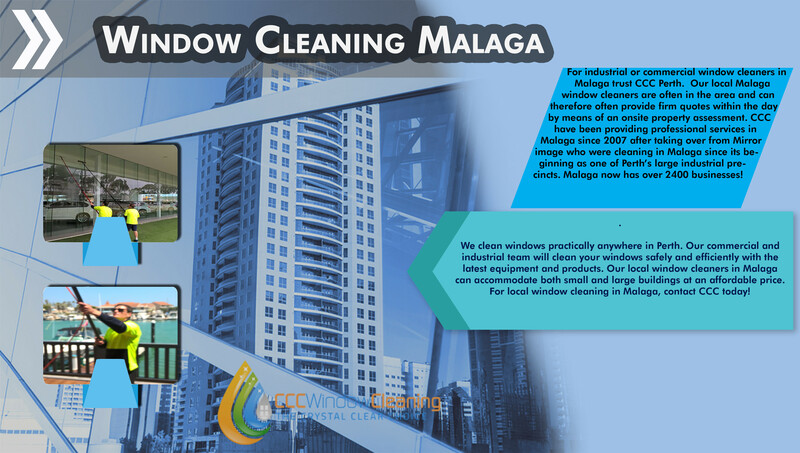 CCC provide the professional services of our window cleaners in Malaga for a large percentage of Malaga businesses. Fill out our ‘In-person’ quote form today and one of our representatives will provide an on-site appraisal shortly. For industrial or commercial window cleaners in Malaga trust CCC Perth. Our local Malaga window cleaners are often in the area and can therefore often provide firm quotes within the day by means of an onsite property assessment. CCC have been providing professional services in Malaga since 2007 after taking over from Mirror image who were cleaning in Malaga since its beginning as one of Perth’s large industrial precincts. Malaga now has over 2400 businesses! CCC specialize in industrial window cleaning in Malaga. Malaga is primarily an industrial area. In fact, in the 2006 census there were just 28 people reported to be living in the area, whereas the workforce in Malaga was over 12000 people strong. It is not 100% known where Malaga got its name from. Some say it was named after the Spanish city of Malaga while others say it was from the Aboriginal word Malaga which means ironstone. Some of the bigger industries in Malaga include wholesale, manufacturing, automotive, retail, and construction. With quick access to the Mitchell freeway as well as the Tonkin and Reid highways, Malaga is a prime industrial area with easy access to other industrial areas including Kewdale, Bayswater, Balcatta, Bassendean, Wangara, and Osborne Park. Almost half of the businesses relocated to Malaga over the years from other areas. In recent times some businesses have moved slightly north to Wangara. Wangara is a fast growing industrial area and CCC provide window cleaning services in Wangara for a large percentage of businesses. For more information please see our ‘window cleaning Wangara’ page. We clean windows practically anywhere in Perth. Our commercial and industrial team will clean your windows safely and efficiently with the latest equipment and products. Our local window cleaners in Malaga can accommodate both small and large buildings at an affordable price. For local window cleaning in Malaga, contact CCC today! Hiring window cleaners in Malaga can mean different things for different businesses. Perhaps you have a storefront, small office, or factory windows that need a window cleaning once a month at the ground level. Then there are those businesses that are multi-level and require that special equipment and training. 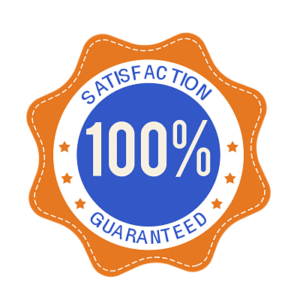 Think about the needs of your business and reach out to the best window cleaning company in Malaga that can get the job done safe and efficiently. If you own a business with above ground level windows, you may not even have the desire, the equipment or the expertise to handle the window washing yourself. If you own a smaller business, you might still be considering whether or not you want to hire window cleaners. You need to carefully consider the advantages of doing so and also look at advice associated with hiring the right company. Not only do window washing companies save you time, but they can also handle other types of jobs. Not all of them offer other services, but it is definitely something to think about. It has already been mentioned that window washing companies save you time, but you also should consider safety and the quality of the work being done. Not only do window washers have the experience necessary, but they also have the best cleaning tools and supplies for the job. Make sure nothing fragile is next to any windows that are going to be cleaned. You don’t want any accidents happening. You want to be accommodating, and while the company will also be accommodating to you, moving fragile items out of the way is important. You also want to think about window screens, too. Do your windows have screens on the outside? Think additional services such as solar panel cleaning, sign cleaning, building wash-downs, and more. These are examples of work that our window cleaners in Malaga can do for you.